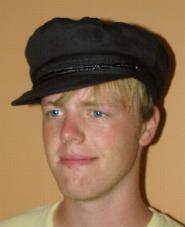 Dutch Fisherman's -- Sailor's Hat -- Medium - Misc. - The Dutch Shop LLC your store for Dutch groceries. Dutch Fisherman's -- Sailor's Hat. Black, 100% cotton.